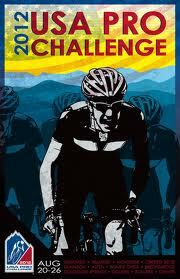 The USA Pro Challenge bike race will be back for a second year this August 20-26th. As a part of the celebration, Denver-based artists have transformed 12 actual bicycles into pieces of art that will be placed along the route. Platte Forum’s former artist in residence Chris Hecker has designed one of these spectacular bikes. Each of the 12 bikes will be representing a country whose team is competing in the race. The bikes will be displayed at DIA on top of the baggage carousels in the month of August. When the exhibit is over, the bicycle representing the USA will stay as a part of DIA’s permanent collection and the rest of the bikes will be auctioned off to benefit local charities. Platte Forum is hosting a sneak peak of these bicycles and an opportunity to meet the artists that designed them. The reception for the USA Pro Challenge Bike Art is going to be held on July 25th. If you are interested in attending this event at Platte Forum, RSVP to Jeannie at jwert@visitdenver.com.